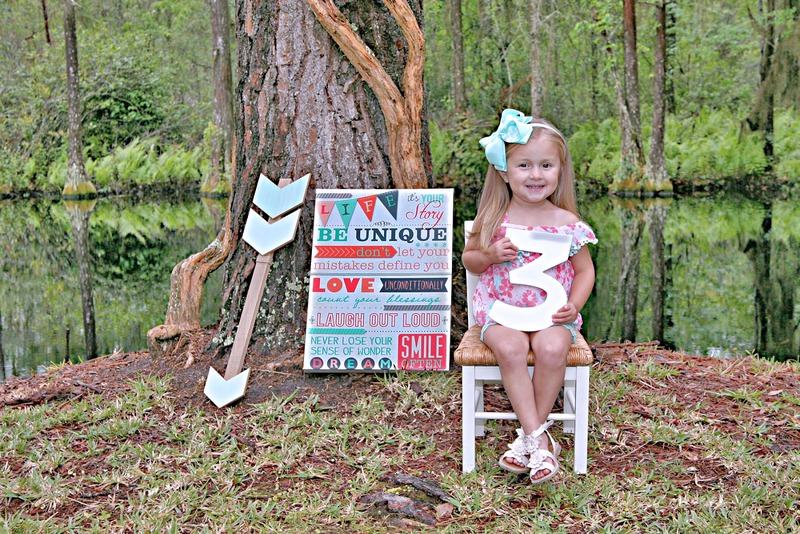 My granddaughter Adalynn just celebrated her 3rd birthday and of course I had to come up with something a little creative for her 3rd birthday pictures, right? Let's make a teepee shall we? 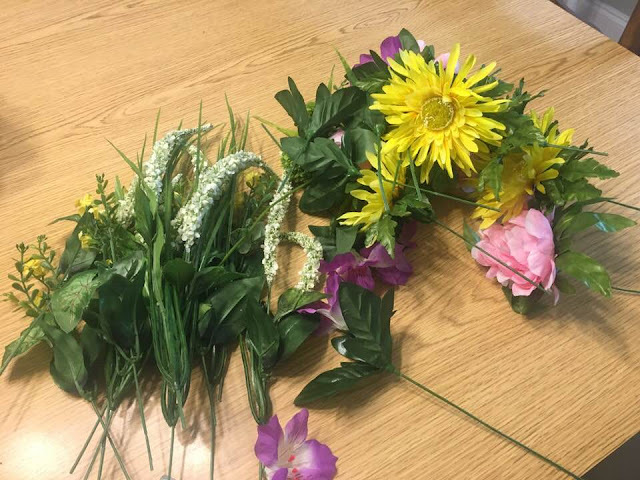 I gathered up a few flower bushes and snipped away. Depending on how large you want your teepee to be to the size you will need your teepee but sweet girl was turning 3 so we didn't need a real big teepee. 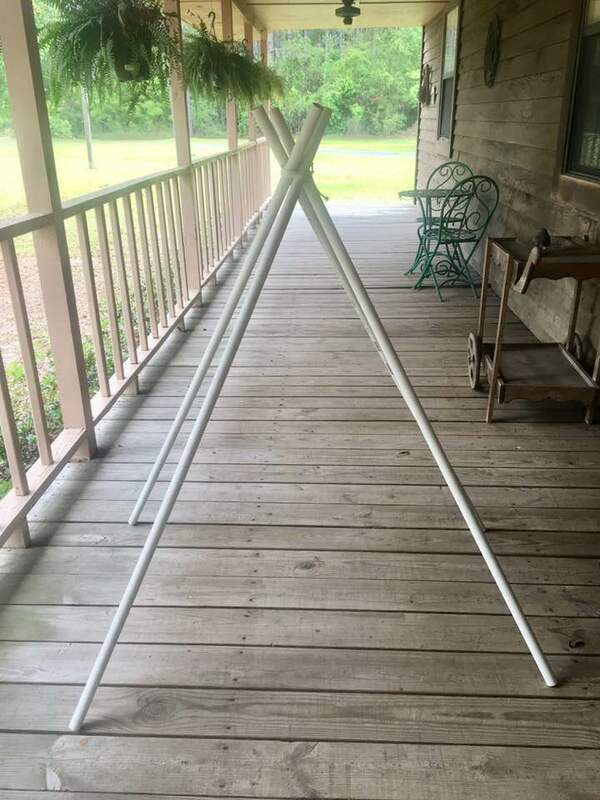 I bought 2 (10ft) pieces of PVC pipe and had them cut into 5 ft. pieces which gave me 4 pieces of PVC. I think the PVC was maybe an inch thick. I decided how much of the tops of the PVC I wanted to show for the teepee, marked that spot with a pen, and drilled holes. Next I took rope, you can use heavy duty or light weight but I had some rope already and it worked for me. 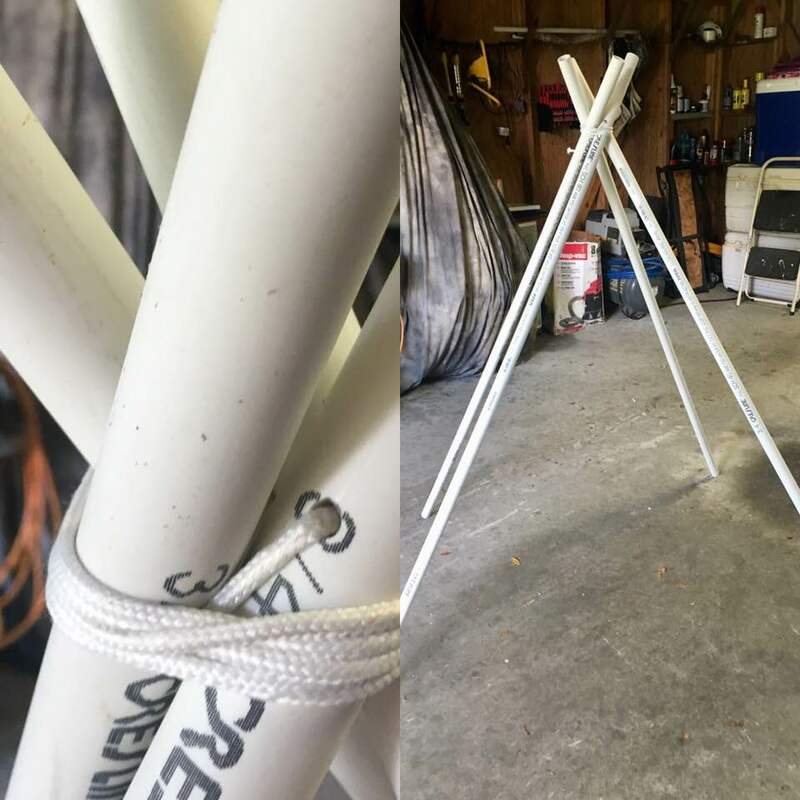 I put my 4 pieces of PVC together and ran the rope through the holes and wound it as many times as I felt needed to secure it and tied it off. YES, I went from the barn to the porch and the porch to the barn. 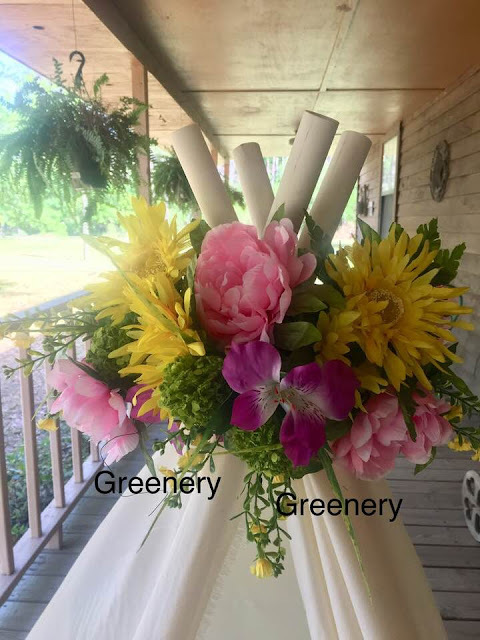 I was in the midst of cleaning my front porch to get ready for a little front porch decor. So, I spread out the teepee as far as I could get it to get a good idea of how I wanted it to look. The size would be perfect for 3 year old pictures. I then decided on material to use. I had originally went with a sheer piece of fabric I had but I personally wanted something a little sturdier as I knew I would snap her pictures outside and in case of wind I needed something to stand up to the wind a little better. So, back to stash of fabric I went. 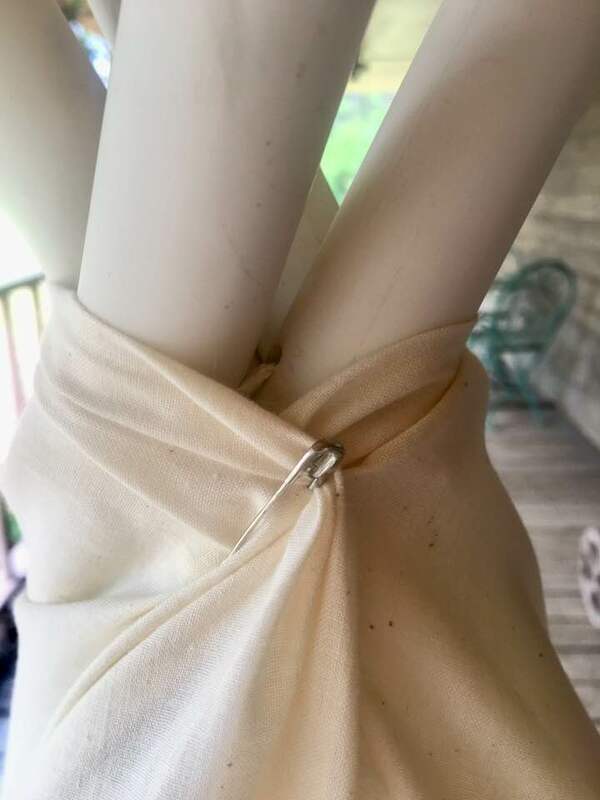 Found a bolt of cream color muslin I had bought some years back for another project and decided it would work great. I wasn't sure how much material I needed but I cut off about 4 yards or so and draped it around the top. As you see I securely fasted it with safety pins. Now you can't see where the rope was tied and flowers would go there so who would know it, right? 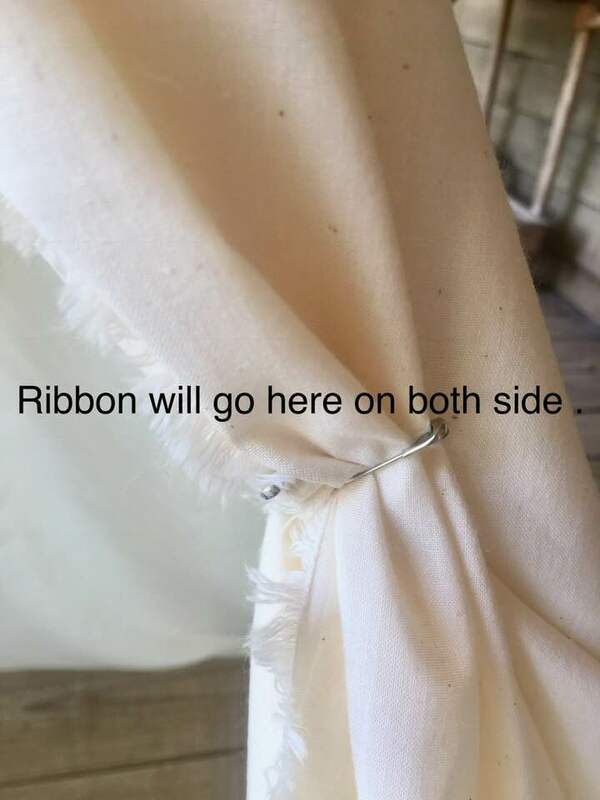 I pulled up the sides of the material like a curtain effect and fastened with safety pins. What would we do without safety pins? I winded up going back and cutting some of the material off but left enough to give a full effect and a little bit of a flow. I used pinking shears to cut the material and most of the edges would be tucked under anyway. I wanted a NO-SEW Project and Cheap. LOL! The edges of the muslin had a fray to it and I loved that. 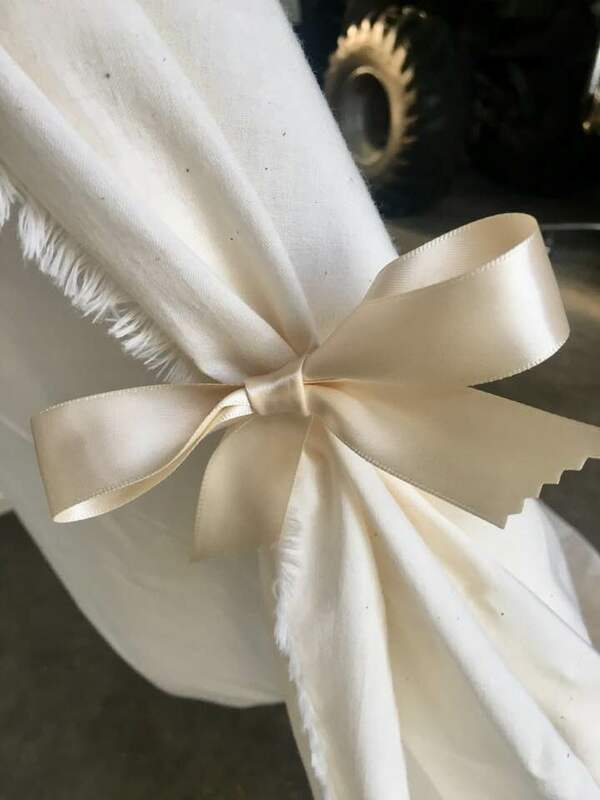 I had a spool of cream ribbon so tied a couple of simple bows and you guessed it. Fastened with safety pins. Now here was the tricky part. I wanted to be able to close my teepee up securely after using and not have to leave it up in my She-Shed. And, I wanted to be able to use my flowers again so I knew hot glue would cause some damage. So, I grabbed my floral wire and wound those babies up pretty tight but not so tight that I could not maneuver the flowers. 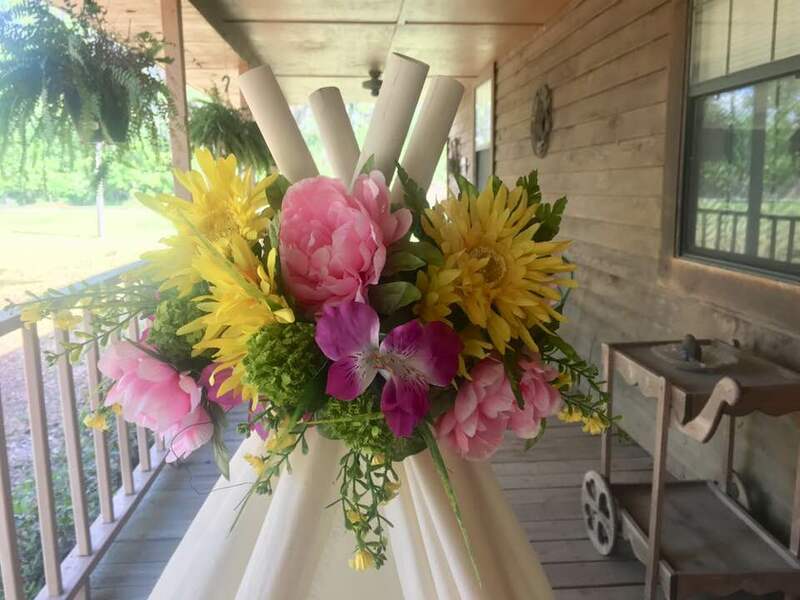 I wound them around the back of the tops of the teepee and once I got them secure in place I positioned the flowers like I wanted them to look. Added some sprigs of greenery to the sides. I actually placed the ends of the greenery through the floral wire so it would hold good. Just a little tip...there was writing on the top of the teepee and you can spray paint that so it won't show. I decided not to spray paint but I did turn the writing side to the back. Well, let me just tell you that this Nana was pleased with her little teepee. Nothing real fancy but it sure served our purpose. My sweet grandgirl was thrilled with her teepee. She was such a perfect little model. I just want to kiss that face off! AND I DO EVERY CHANCE I GET! 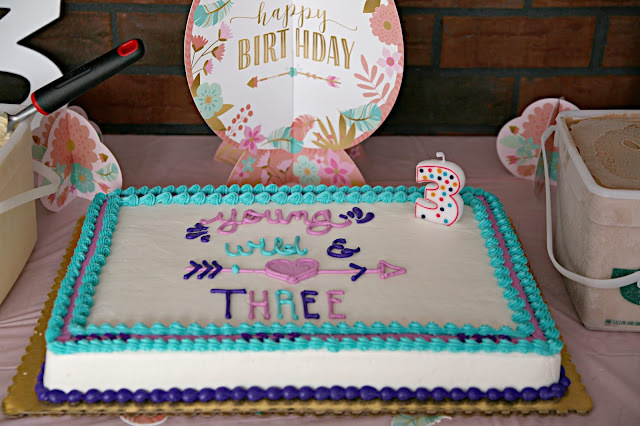 How did this baby turn three so quick? And oh has her hair color changed! And needless to say the teepee was used again. 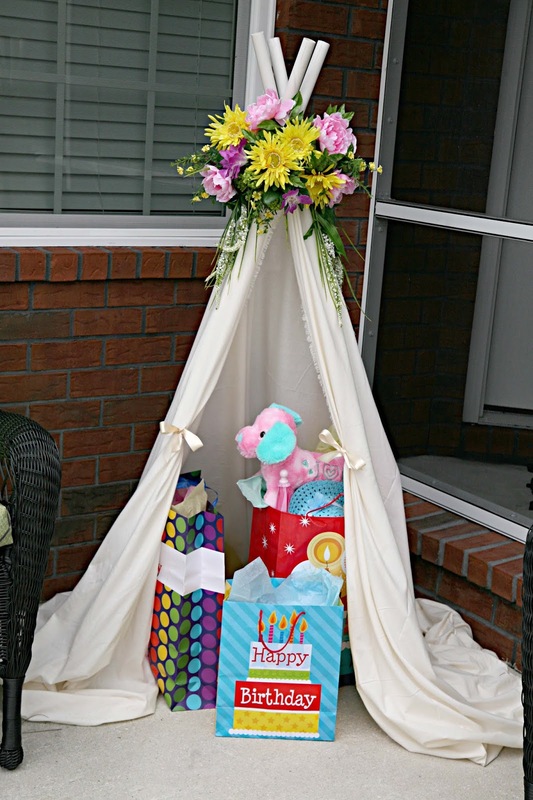 We stored some of her birthday gifts inside the teepee at her little family birthday party. 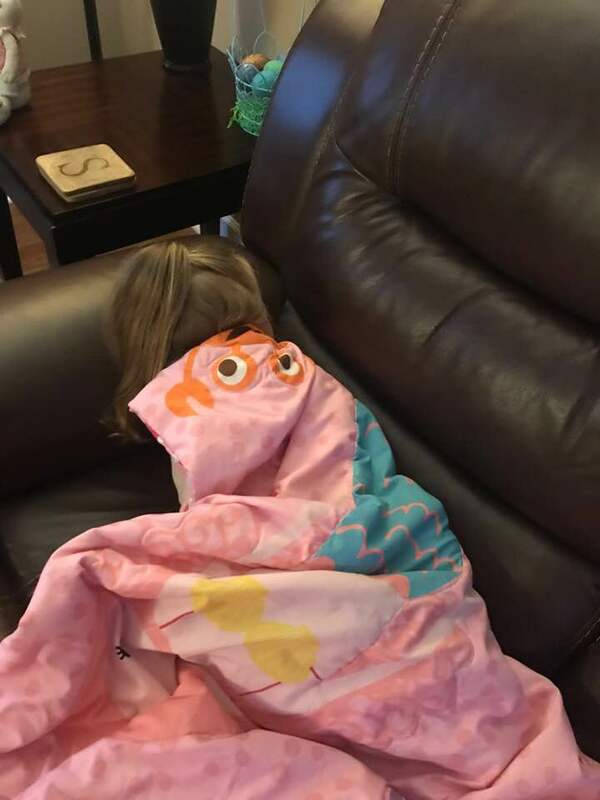 It's a hard life at age three y'all! She was one tired little girl. Thank you BJ. She loved it and I actually enjoyed making it. Cindy, when I received the pictures you sent to me by email I showed them my co-worker. She wants a teepee now for her granddaughter's 4th birthday. LOL! I will show her your tutorial. Such an adorable little one and the cutest pictures ever. I remember all that dark hair she had. She may not have dark hair anymore but she's sure got a lot of hair. Great pictures. Happy Resurrection Day to you and your family. Thanks Connie. Yes, she and her sister both have hair and plenty of it. 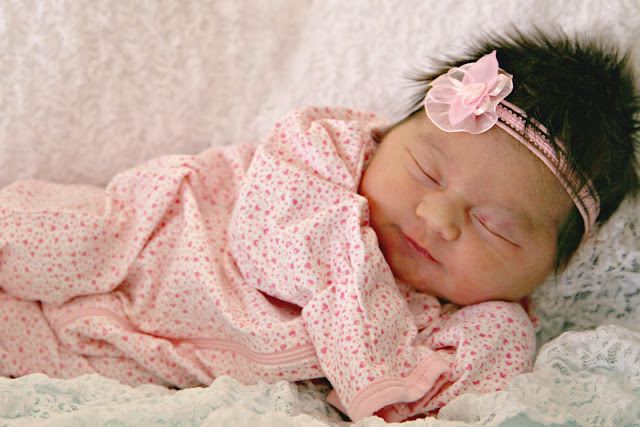 I look for the babies hair to turn lighter too. Teepee was easy peasy. Ready to take it down and use my flowers for something else but think it will used one more time. Hey, at least it was USE worthy. LOL! Happy Resurrection day to you friend. Thanks Tanza. I hope that you have a great week. Happy Easter to you too Tanza. Oh, my goodness, did you see this and think this up with your creative mind? It is just adorable and she is the cutest. Is there anything that you cannot do? Happy Holy week to you my friend! Lea, as my grands say, "Nana, you can google anything you know". LOL! I googled Teepee and my goodness have mercy! WAY too many tutorials to pick from. Went with the most simple idea I could and added my own style that worked for me. Not too shabby and CHEAP! LOL! The teepee you made is absolutely lovely!! I love the way you arranged the flowers and the cream muslin is perfect!! Happy third birthday to that sweet little granddaughter!! Thank you so much. It came in handy for her three old birthday pictures. Oh, my goodness, Lady...you are one special Nana! I love your creativity and thank you for sharing how to make that ADORABLE teepee! Such a cute idea! When I saw the first picture I thought those flowers were real! That is one gorgeous bouquet! But not nearly as gorgeous as that sweet little three year old girl in it! Her pictures turned out perfectly! Happy Easter to you, also, my sweet friend. 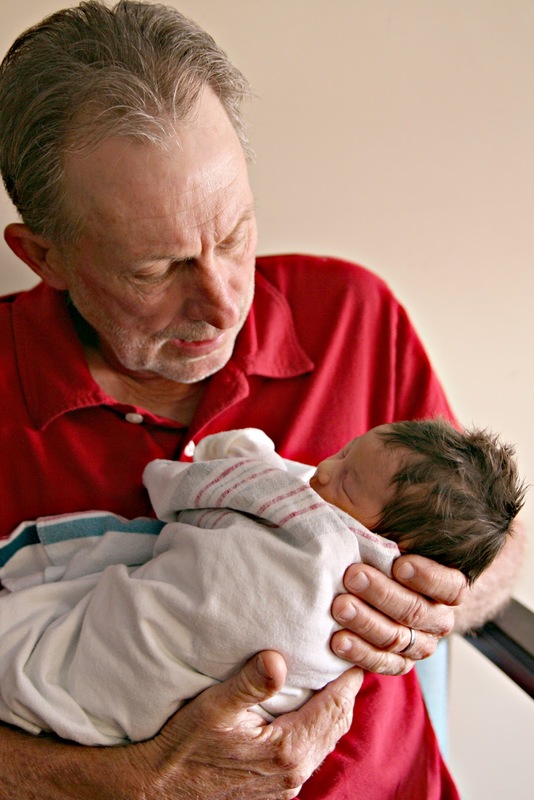 Happy Birthday to your adorable granddaughter. The teepee turned out great! I thought that it would also make a cozy book nook. Thanks Margie . Oh a book books . I need me a king size teepee for a book nook as i love reading too . Happy Easter to you . Oh my my!! That is absolutely, positively wonderful! I love the way you dressed it up with those flowers, great idea. Such a special, special birthday. Thanks so much . Happy Easter to you Debbie and hope that you are doing well . Hi Cindy, I keep losing my comments. Happy birthday to your beautiful grand! 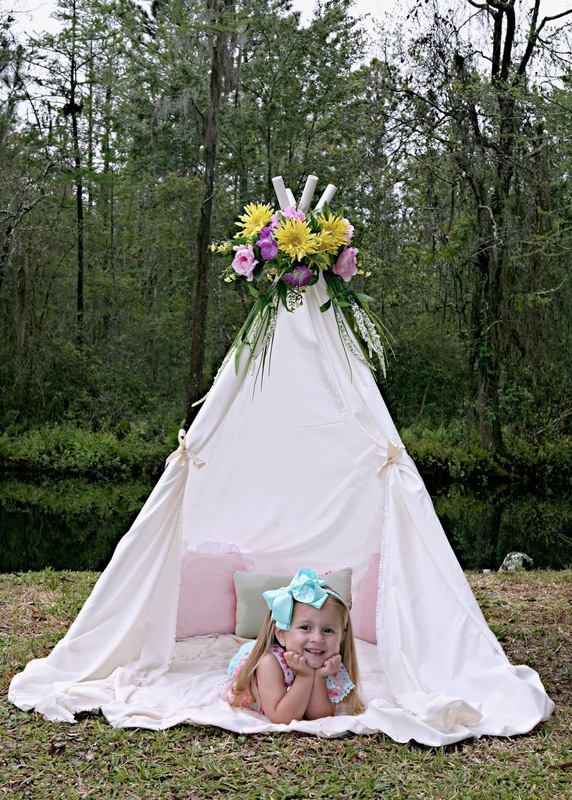 What a cute idea with the teepee and a great photographer behind the lens! Wishing you a blessed Holy Week! Cindy, that teepee is just adorable!! You did a great job creating and building it! And that sweet baby of yours is just so precious! 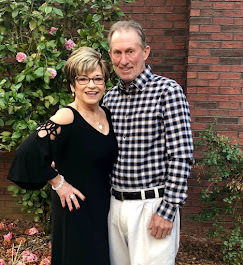 So glad you had a wonderful birthday celebration with her! 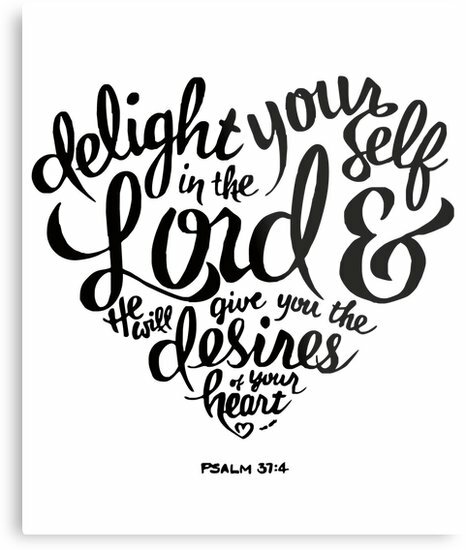 Happy Easter and have a blessed week! Love and hugs to you!! Thank you Benita . She had a wonderful birthday . Her parents carried her to Sea World and then a family birthday . She’s a doll baby fur sure . Happy bday....and where did that DARK hair go? 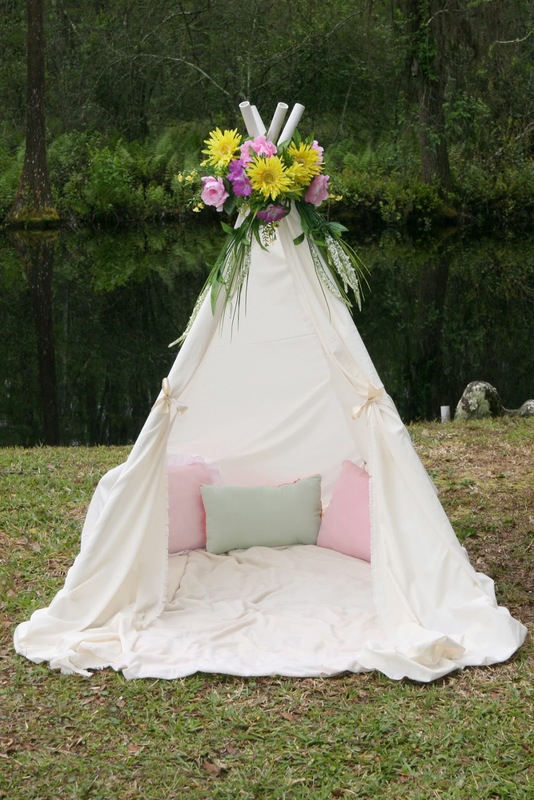 LOVING the teepee....what an awesome idea and gift. Thanks Pam . She had really dark hair for a long time but it has gotten so much lighter . Oh Cindy ..you are such a super Grandma..That little TeePee is so adorable .. The flowers are the perfect finishing touch. It will used for quite some time or at least until you have to extend the roof( ha ha) ... 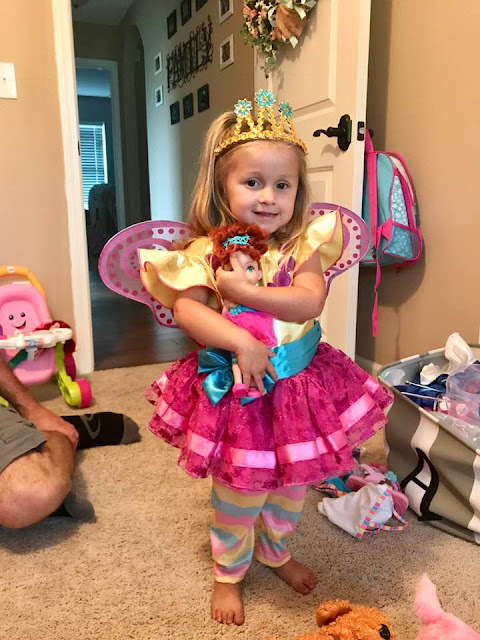 Your sweet fairy butterfly gran is so darn cute. 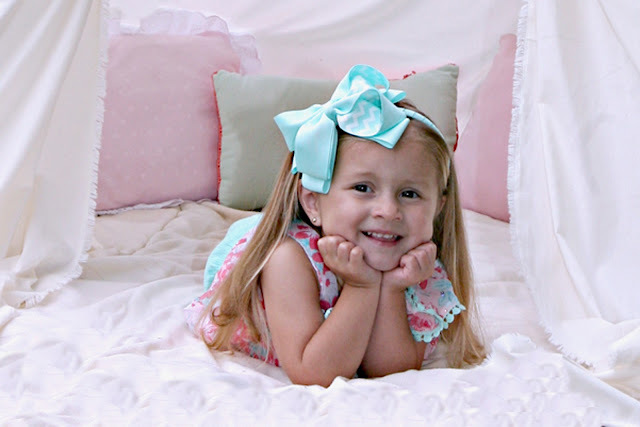 ( Happy Birthday Adalyn) Thank you for sharing all the sweet pictures and birthday celebration details ... It was fun, even for this old youngster....Happy Easter Sweet Lady.. Thank so much . 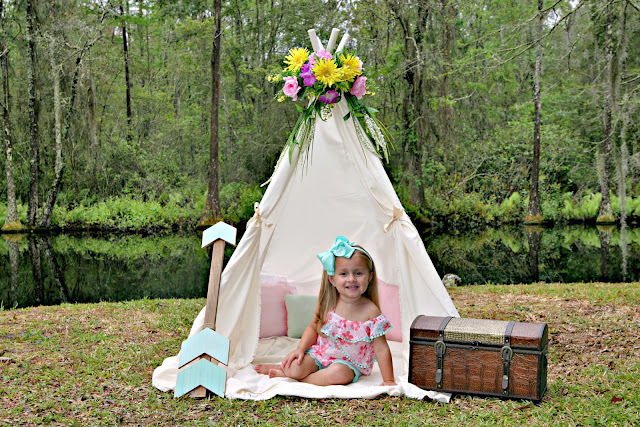 The teepee was perfect for her tribal party and really adorable prop for her birthday pictures . Happy Easter to you . What sweet memories Debbie for you . Thanks for coming by to visit . Thanks Zenda . I bet the new house is looking good . 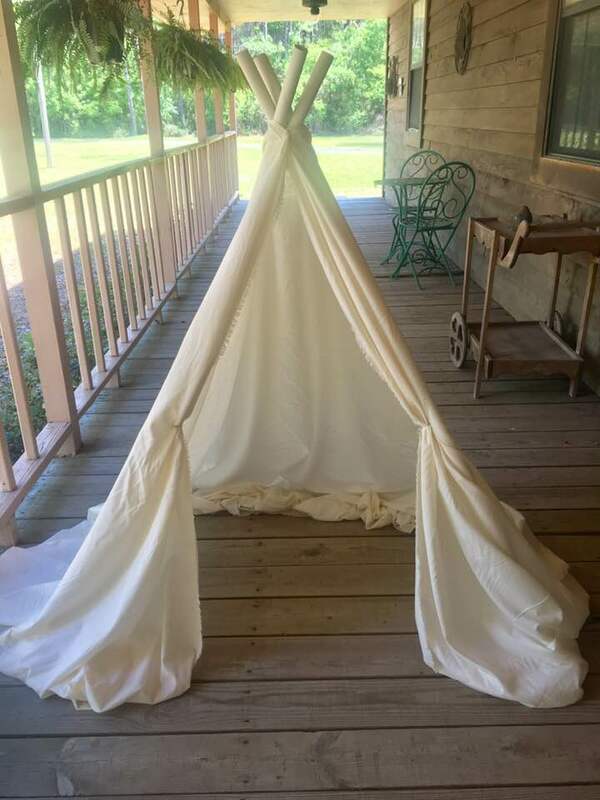 Yes, your little jack needs a teepee for his room . Happy Easter . I KNEW IT WAS GOING TO BE A TEEPEE! But I had no idea how ADORABLE it was going to be! Girl, you out did yourself! Will be build me one? Your photos of her are just perfect...loving her little "off the shoulder" look! I cannot believe how that that little beauty has grown up so fast! You are such precious grandma, Cindy. HUGS! She is growing up to quick . She’s such a sweet girl and so dang smart . Of course these kids come into the world now knowing how to google 😂 Happy Resurrection day dear friend . 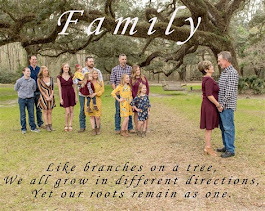 You have always taken so many great pictures of your kids and grands. It doesn't seem possible she is three! I had the most fun reading your post. Have a wonderful Easter. He is risen! Thank you Bonnie . She is indeed a doll . Has the sweetest little personality too . We had a good time snapping a few pictures with the teepee . Happy Easter . Aw! She is just adorable and growing like a weed! I love your teepee and all that you do for those dear grands! You are creating such special memories that they will never, ever forget. Thank you so much for sharing about your beautiful life here, sweet friend. God bless you. Awe thank you sweet Cheryl. We have a good time. Oh Cindy, your tepee is just about the cutest thing EVER! And the birthday girl posed like a professional model! What a cutie!! Fabulous creation!!! 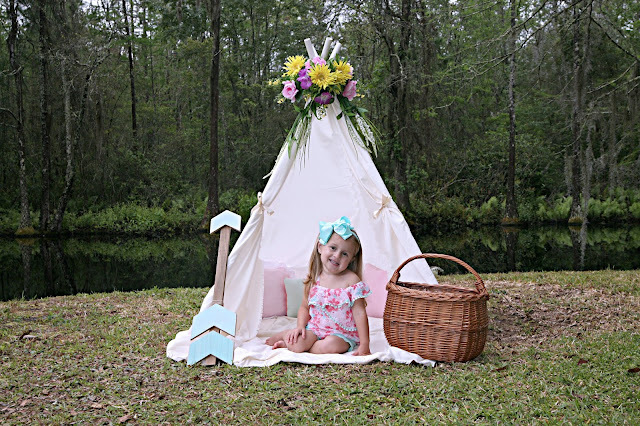 Hi Cindy, what a darling idea, a cute teepee for your sweet granddaughter. This Nana is styling.....I love seeing the pretty photos. She looks totally comfortable in her very own teepee. Happy Easter to you and yours. Thank you Linda. It was a fun project. Easy and cheap! My kind of crafting! LOL! Cindy this is the most adorable teepe EVER!!! Your granddaughter is too adorable. Love how you finished it off with the fresh flowers. Really cute and pretty. Happy Birthday to your sweet granddaughter. Oh my!!! I can't believe that precious baby is THREE!! What a little doll she has grown to be. Grandma, you out did yourself on that tent, soooooo cute. Happy, happy birthday to Adalynn and Easter blessings to you and your family. Thank you Miss Mary . Happy resurrection day to you . Oh youre such a doting grandma!!! I love what you do. Thanks for sharing, because of you Im so thrilled to be one.. LOL! I will turn 50 this month and my son is just 23..think I have 7 to 10 years more to wait. Happy Easter Cindy..and to your lovely family. Happy Birthday sweet girl Adalynn. Awe thank you . I know that you will be a wonderful grandmother . Happy Easter . 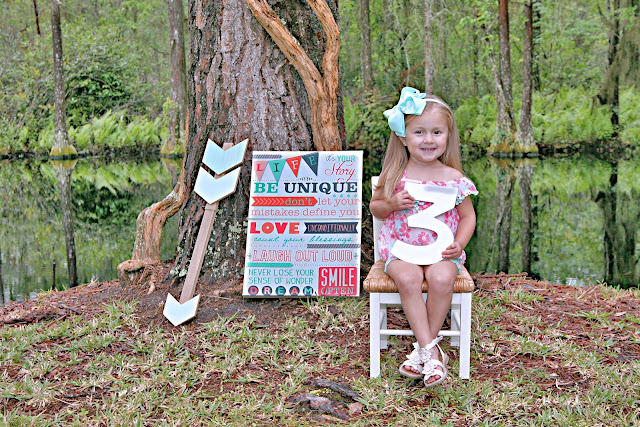 Oh goodness that beautiful princess is three now and has her own teepee too ! Your both such amazing grandparents. Children grow so fast, our baby boy Alonso is almost five month and it seems he was born yesterday ! 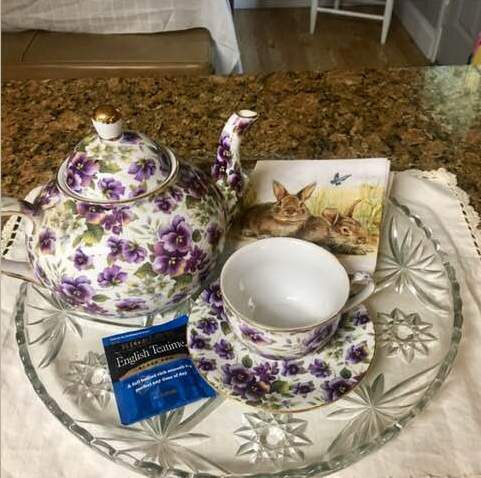 Happy Easter to you and yours dear Linda.